Every month we will feature articles relating to the history of Scotland – famous people, famous battles, famous places etc. These will build over the months into a full and intriguing insight into the history of this ancient land. Mary, Queen of Scots is perhaps the best known figure in Scotland’s history. Her life provided tragedy and romance, more dramatic than any legend. Tying the Knot, Paying-the-Piper and Having a Dram – or a guide to traditional Scottish wedding practices and their origins! Gretna Green is possibly the most romantic place in Scotland, if not in the UK. This small Scottish village has become synonymous with runaway lovers and weddings over the anvil…. Only one nation in the world can celebrate the New Year or Hogmanay with such revelry and passion – the Scots! But what are the actual origins of Hogmanay, and why should a tall dark stranger be a welcome visitor after midnight? 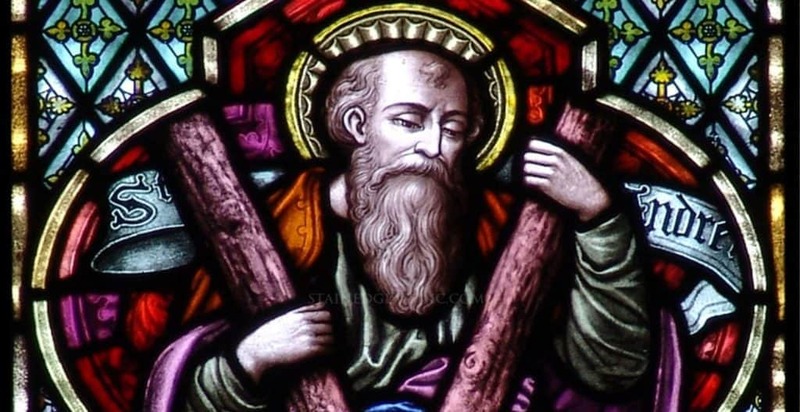 Read about the life of St Andrew, Patron Saint of Scotland. Click here for this month's articles in our History of Britain magazine.